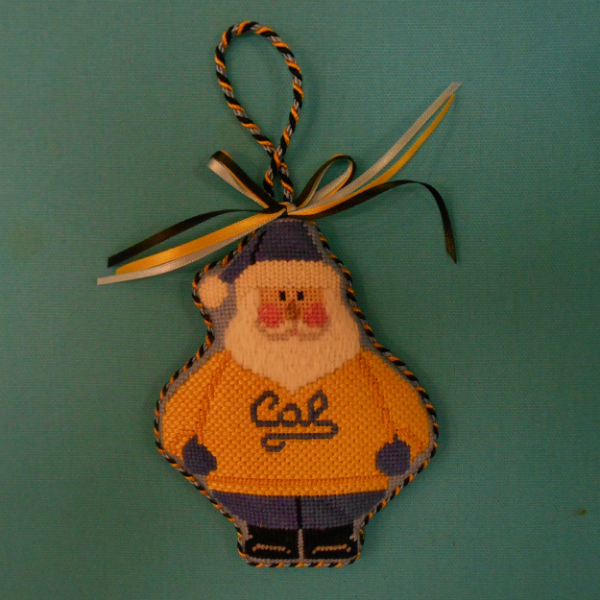 Celebrate your Cal spirit with this delightful Santa from Carol Dupree. Great gift for a child, spouse, friend, or yourself! This one is fabricated without background stitching!